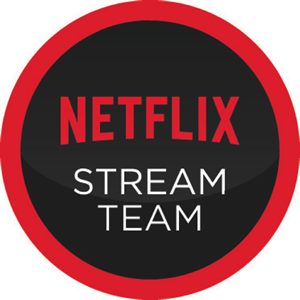 Who else is as excited as I am for the final season of Lost? I can't wait for Feb 2! But what am I going to do without Jack when it is all over? I am changing things up a bit here on Green Giveaway Friday! All of the giveaways that I am listing in this post are "green" giveaways that I have found or that have been submitted to me. However, in the linky at the bottom, please feel free to add any of your giveaways, green or not green. The fact is I enter plenty of other giveaways so I would love to have a bunch here every week for everyone to check out. You can also submit your green giveaways to me during the week for me to include on Fridays. January 16, 2010 marks my one year blogaversary! Yay! I am so happy that I have kept up this long and thrilled that you all keep coming back to read and enter giveaways! Thank you for your support over this past year. I know it has been slow here at Green Mama's Pad recently, I'm still recovering from our 5 day hospital stay. But I hope to get things moving faster soon! Here are some Green Giveaways that I have found around the Blogosphere! Do you have a green giveaway on your blog that I missed? Well be sure to add it to Mr. Linky down below! You can also submit your green giveaways to me during the week for me to include on Fridays. When I started blogging almost a year ago, one of the first blogs I found and fell in love with was Prissy Green. A blog dedicated to green beauty filled with great tips, reviews and giveaways and personality. Karissa (Prissy Green owner) was a blogger that I looked up to and admired. Several months later we became friends through the MomDot community. She reached out to me and befriended me and did everything in her power to help me and my blog since I was fairly new. She would check in and ask how my pregnancy was going and how I was feeling and even sent me a box of green products to pamper myself. 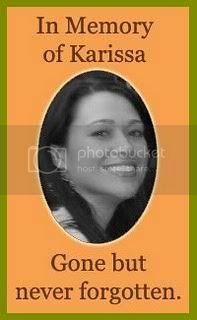 Yesterday after returning from the hospital I finally logged on to my email and the first thing I saw was that my dear Karissa had passed away. 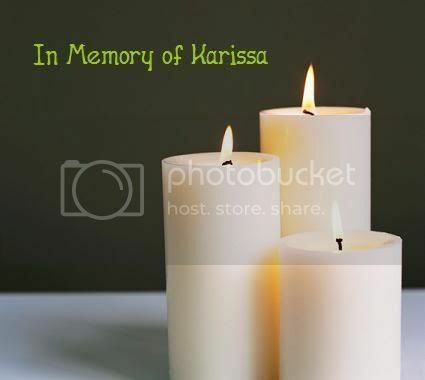 That Karissa had taken her own life. I was in shock. I am still in shock. How could this happen? She was such an upbeat and loving person and I never saw any signs that she was hurting so deeply. I wish I could have helped her, hugged her, done whatever it was she needed so that this would not have happened. I love you Karissa and will remember you forever. So I have been MIA for quite a few days and its because my little peanut has been sick. When we brought him home from the hospital back in December, we came home to a house filled with coughing and snot. My twins were getting a bad cold. I tried my best to keep the baby isolated. We washed our hands like crazy. But really, with everyone in a house being sick it is nearly impossible to not get it. About 10 days ago the baby started off with congestion. Then last Wednesday is when his cough started. I brough him to the doctor to check his lungs and at that time he was OK. But they told me to keep a very close eye on him. On Friday I decided to bring him in again just to be safe since the weekend was coming. Much to my surprise, our pediatrician admitted us to the hospital. Baby boy was wheezing a little and you could see the tugging under his ribs from difficulty breathing. At the hospital he tested positive for RSV (a respiratory virus). After being at out local community hospital for several hours, he decided to transfer us to a children's hospital 40 minutes away. And that is where we were from 1:00am Saturday morning till about 1:00pm Tuesday afternoon. This was by far the scariest moments for me so far as a parent. Boys are crazy and I have dealt with bad falls, huge bloody cuts and so on, but never have I had to admit such a little one to a hospital. I was beyond worried, terrified really. I'm glad to be out of the hospital and back home. He is doing better each day. 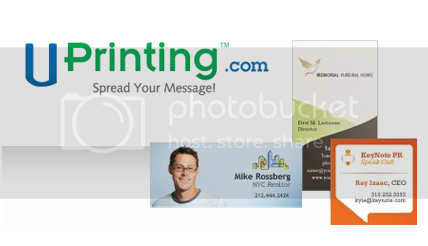 I am thrilled to be able to bring you all another Business Cards giveaway from UPrinting.com. This is the third time I am hosting a giveaway for their business cards and its truly because I have been so happy with the ones I have received myself. After running the first giveaway, I was given business cards for myself and I created some for the blog. I was so happy with the entire setup and ordering process and the final product that I hosted a second giveaway. That time, the free business cards I received I used for my husband. I designed some really nice masonic cards for him and once again had a great experience. So here I am hosting my third business cards giveaway. While Uprinting.com is again going to give me some more business cards, I'm not sure yet how I will use them. One (1) winner will receive 100 Postcards from UPrinting.com! Winner must pay shipping. This giveaway is open to US Residents 18+ only and will end on Sunday, January 17, 2009 at 11:59pm EST. One winner will be chosen at random using Random.org and will be posted on the Winner's Announcement Page. Winner has 24 hours to claim his/her prize otherwise a new winner will be picked. You must leave your e-mail address in all of your comment(s) so I can contact you. I will not share your e-mail address with anyone, it will strictly be used to notify you if you win. Good luck! Please note that the opinions and views expressed in this review are my own and based on my personal experience with the product and/or company. You may encounter a different experience with this than I did. UPrinting will be providing me with a set of`250 business cards and is providing a set for the giveaway. We love wooden toys in our house, the quality is just so much better than some of the cheap plastic toys. So three years ago, back when we only had one child, for my oldest son's 2nd birthday I wanted to get him a wooden kitchen set. Now finding a wooden kitchen set that wasn't pink and girly was a small challenge, but I turned to Gummy Lump because they had a nice selection. 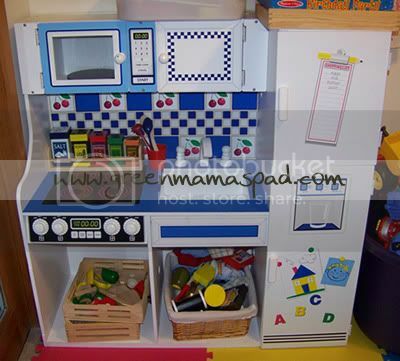 We wound up buying the Melissa & Doug Country Kitchen from Gummy Lump. Three years later we all still love it. Here it is shown in our messy playroom. You'll notice the oven door is missing. We had to take it off because the twins were crawling in there and then closing the door which made me nervous. It has held up very nicely despite being beaten up by my boys every day. Gummy Lump also has a large selection of Melissa & Doug play food sets and it seems as though they always have some kind of deal going on. Right now, all Melissa & Doug toys are 20% off PLUS if you buy 3 of the play food sets, you get the 4th FREE! My boys have several of the sets, I think their favorite is probably the Cutting Food Box. We also have several Melissa & Doug Floor Puzzles in our house. Gummy Lump was kind enough to send us the Underwater Floor Puzzle to try out and add to our collection. The floor puzzles are for ages 3 and up and contain 48 puzzle pieces. When put together, the puzzle measures 2 feet by 3 feet. What is great about these large floor puzzles is that the pieces are nice and big which makes it easy for little hands to grasp and manipulate. My boys love dumping the pieces out on the floor and putting them together. The twins are still a little young for these, but they still enjoy participating and helping. I will often steer them to where the piece goes and they will "snap" it in. When they are done, they love breaking it all up and starting over again. Now I have talked an awful lot about Melissa & Doug Toys so far, but you will find more than that at Gummy Lump. They also sell Automoblox (LOVE these), Plasma Cars, Haba Toys and so very much more. If you are looking for quality, fun and educational toys for kids, Gummy Lump is definitely a site you need to browse! As I mentioned, Gummy Lump currently has some great deals going on. All Melissa & Doug toys are 20% off and don't forget the play food special of buy 3 get 4th free! 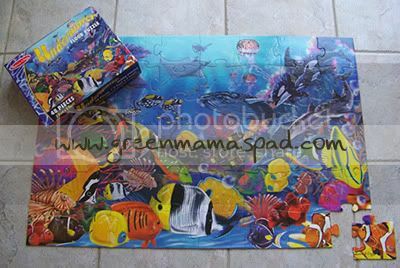 One (1) winner will receive a Melissa & Doug Underwater Floor Puzzle courtesy of Gummy Lump Toys. Visit the Gummy Lump site then come back and tell me your favorite product, one that is not mentioned in my review. 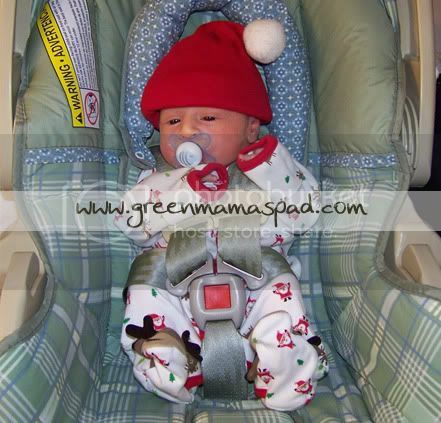 - Follow @GreenMamasPad and @GummyLump on Twitter and and tweet this giveaway. You must have at least 50 followers and include a link to this post. You can tweet once daily. Leave link to tweet in comment. - Blog about this giveaway. Your post must include a link to this post plus a link to Gummy Lump. Please leave link. 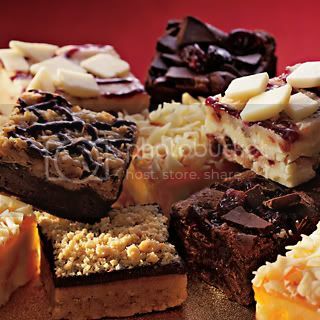 - Become a fan of Gummy Lump on Facebook. - Visit the Gummy Lump Blog and enter their Train Table giveaway. Leave me a link to your comment there. This giveaway is open to US Residents 18+ only and will end on Wednesday, January 20th at 11:59pm EST. One winner will be chosen at random using Random.org and will be posted on the Winner's Announcement Page. Winner has 48 hours to claim his/her prize otherwise a new winner will be picked. You must leave your e-mail address in all of your comment(s) so I can contact you. I will not share your e-mail address with anyone, it will strictly be used to notify you if you win. Good luck! Please note that the opinions and views expressed in this review are my own and based on my personal experience with the product. You may encounter a different experience with this than I did. Gummy Lump provided me with an item for review and is providing an item for the giveaway. 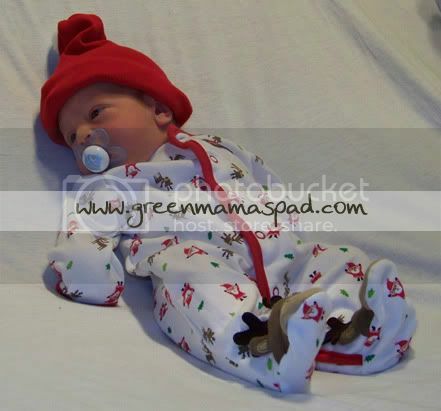 Here is our new little man back on December 19 when he was just 2 days old. Okay, we've all had some time to think about how we want to be a little more green in 2010. My 2009 goals did not go so well, so my first goal for this year is to really stick to my goals! :) But really, even if it is making one small change its still great a step in the right direction. So here are my 2010 green goals. Please share yours as well. I'll check back in a few months down the road to see how I'm doing and how you are doing. I may add to this list as I think of new things, but this is it for now. I think if you keep it short and simple you have a better chance of being successful. Now what are some of your green goals? 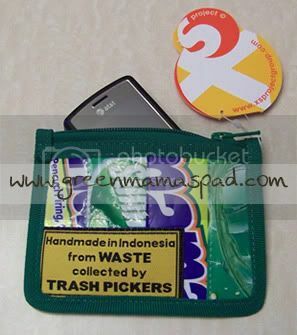 Every year, 80,000 tons of flexible plastic packaging are manufactured in Indonesia. Since there is no way to recycle this type of plastic, it will accumulate in landfills and sit there forever. Environmental activist Ann Wizer saw this problem and wanted to start something to combat it. So she started the XSProject. "XSProject is the brainchild of visual artist and environmental activist Ann Wizer, who conceived of this initiative in the mid-90s while living in the Philippines. As an artist’s expression against the ongoing ecological abuse caused by rampant consumerism and its subsequent nonrenewable waste, Wizer started utilizing trash as her primary material in designing costumes and installations. The first tote bags she produced from nonrecyclable plastic were accessories to the trash costumes used in her performances. Seeking to involve poor communities of trash pickers in an out-of-studio “intervention,” Wizer created XSProject in 2002 in Jakarta, determined to focus on the development of sustainable solutions to the problem of unmanaged consumer waste. Wizer’s quirky use of unlikely materials, including drinking straws and toothpaste tubes, demonstrates an inventive and creative way to reduce the increasing mountains of trash found throughout Southeast Asia. Each one of XSProject’s handmade, one–of-a-kind products is made from consumer waste." XSProject literally takes trash and turns it into fun, hip, eco-chic products. What is really awesome is not only are they taking trash and re-purposing it but they are also helping the local people in Southeast Asia. Unlike the sanitation workers here in the USA, the Trash Pickers in Southeast Asia make very little money. So in order to make a little more money, they pick the flexible plastic packaging out of the garbage and sell it to places like the XSProject. They have quite an extensive range of products to choose from. Need some school supplies for the kids? 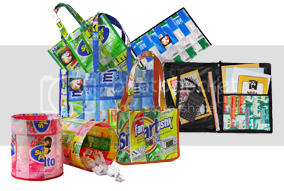 XSProject has portfolios, notebook covers, pencil cases and lunch bags. Want to buy something fun for yourself? They also have laptop sleeves, tote bags and shopping bags and even laundry bins. XSProject let me choose two items to try out. I chose the "Beauty and the Beast Small" which is a Mini triangle-shaped makeup case and the "Coin Slot" which is a coin purse with zipper. I really do like both of these a lot. The makeup case I am actually not using for makeup, at least not now. 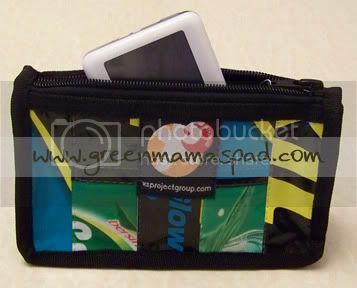 I wanted something that I could put my iPod in and put in my bag and not have to worry about it getting scratched. There is plenty of room for my ancient iPod in this case. The description of the coin purse also said it would be good for business cards which is why I chose that. 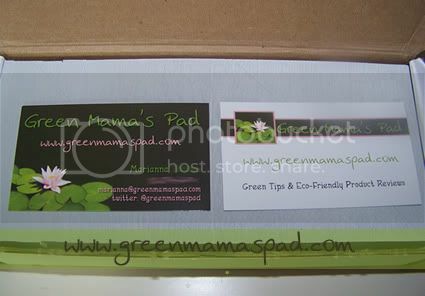 I have really nice looking Green Mama's Pad business cards that I need to start handing out, but nothing to put them in to keep them safe. The Coin Slot works great for that. In addition, when I got this I realized I could also fit my LG Shine cell phone in it. I usually just toss my phone in my bag which leaves it susceptible to being banged around, so this is great for protecting it. Please note that the opinions and views expressed in this review are my own and based on my personal experience with the product. You may encounter a different experience with this than I did. XSProjectUSA provided me with items for review.